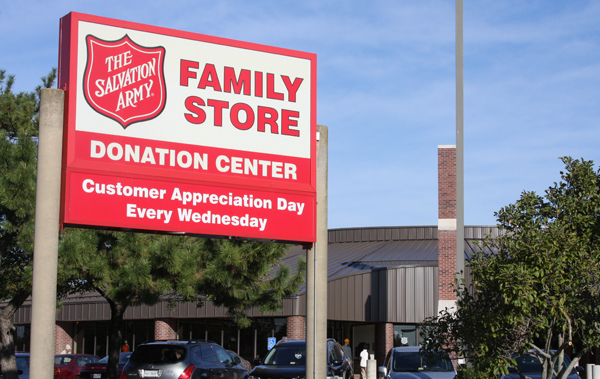 The Salvation Army Donation Center and Family Store in Northern Virginia is a well-oiled machine, thanks to the word of God and a dedicated group of people. Any “thrifter” coming in the store will acknowledge that it’s an impressive setup – and the numbers back that up. Every day the store sells 4,000 pieces of clothing, but that’s only part of the more than 10,000 new items placed in the store that morning, which also includes furniture, housewares and electronics. The store had to institute a separate line system just to manage the sale of purses. But with all these numbers, it can be easy for even the most avid thrifter to forget, or not even know, why The Salvation Army runs family stores: to change lives. Those 108 beneficiaries come from all walks of life. Some have been there a few weeks, while others have been there a few years. But all of them are in various stages of rehabilitation and renewal. Pallasena Hariharan, “Harry” for short, was an alcohol abuser before coming to the ARC four years ago. But you wouldn’t know it. He’s clean, soft-spoken, hard-working and organized, and acting as the supervisor of the housewares department of the store. He was hard-working before, but he had difficulties managing his work and personal life successfully. When he came to The Salvation Army ARC, that changed. And Harry’s not the only one. Kenny is the manager of the shoe department, where he and his team inspect, repair, clean and polish the shoes before sending them out to be sold. He said that after years of being dependent on heroin, the ARC provided him an opportunity to stop for a moment, collect himself, and put himself back together by discovering the truths of God. 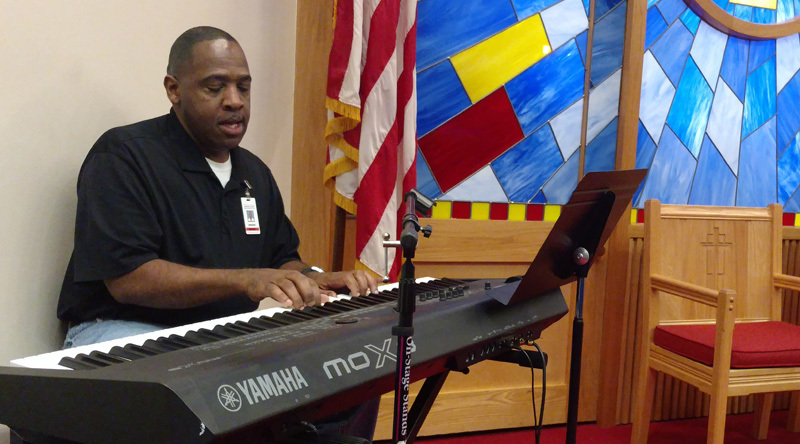 Ed, musical director at the ARC, spent more than 25 years destroying his life, he said, and originally planned to leave The Salvation Army after only a couple weeks. That was five years ago. He calls the ARC an incubator, saying it saved his life by allowing him to focus on himself and his relationship with God. Now he counsels, uplifts and encourages other men coming through the same program he experienced. And it keeps going. Will has only been there two months, but he has a knack for computers. He tests all the electronics before sending them out to the shelves. Ralph repairs shoes with Kenny. Brandon unloads donations from vehicles as community members come to drop them off. And Joaquin helps sort and hang more than 7,000 pieces of clothing every single day. What’s that, you say? The math doesn’t add up? Well, any clothing items that don’t sell in four weeks are bundled up and sold in bulk to organizations that provide clothing to impoverished areas of Central America, South American and others. But running the Family Store is only a bi-product of the real mission of the ARC, said Major Michael Vincent, who has run the Northern Virginia ARC with his wife, Major Judy Vincent, for the past 10 years. To ensure no man in his program is ever ‘out,’ Major Vincent emphasizes three prongs to the ARC program: spiritual growth, emotional growth and group fellowship/counseling, and work therapy. The Family Store is the product of that final prong: work therapy. “You show me a man that can be accountable at work therapy and I’ll show you a man that will show up to his daughter’s birthday party,” he said. It’s about the whole man, and every effort in the ARC is directed toward that end: a transformed heart through the word of God. So, The Salvation Army is not just in the business of selling trinkets. The Salvation Army is in the business of changing worlds, one person’s world at a time. To learn more about The Salvation Army’s Adult Rehabilitation Centers, or to read and watch more stories of people whose lives have changed through the help of The Salvation Army ARC, go to SATruck.org. You can also find the nearest Donation Center and Family Store in your community, make a donation or schedule a pickup.